Most iPhone users like listening to music for entertainment, becuase it is one of the best ways to keep us stress-free and rejuvenated. Our beloved iPhone or iPad are great music players for us to listen to pop songs anywhere. They offer amazing hardware and software features that enhance the overall music listening experience. However, downloading music on the iPhone for free is not an easy task, unlike its android counterparts. Even iOS safari browser doesn’t allow downloading mp3 files directly from any websites which provides downloading feature. You only can play songs online as long as you connect to network. Luckily, there are some of the best apps to download free music on your iPhone or iPad in 2019. Bonus tips: If you lost precious photos or notes of your beloved artists accidentally from iPhone, you can always use Jihosoft iPhone Data Recovery to get them back easily even without backup. 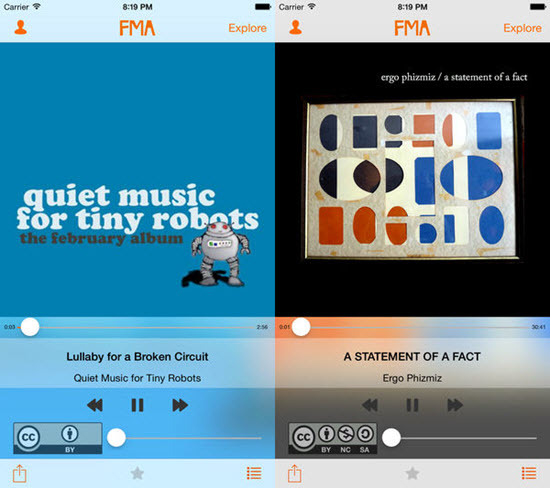 This iOS music player app is an amazing app and offers great features for music playback and music organization. However, what sets this app apart from the rest is its integration with a number of cloud services like Google Drive, Dropbox, Box, OneDrive etc. It allows users to store their music in the cloud, and it can either download them offline, or stream the songs from these cloud-based services. The app is free to download and use on iPhone and iPad. 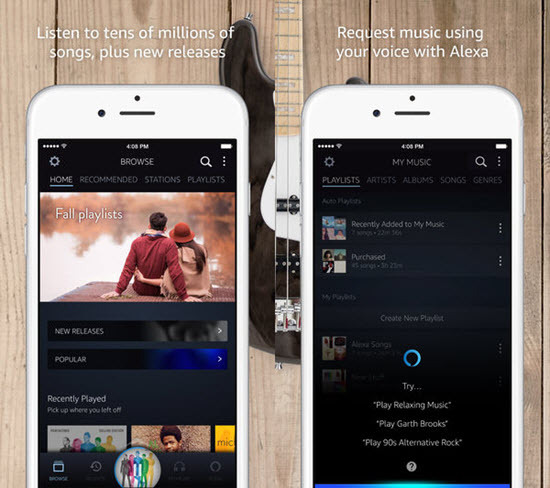 If you are an Amazon prime subscriber, then you get free access to the Prime music service. It has an amazing iOS app which allows uses to listen to any music they like on iPhone and iPad. Music can be accessed via artists, genres, playlists etc. Users also have the option to save the music offline when internet is not available. Mazika is a great music app on iOS. It has an amazing selection of music and offers the users ability to browse through it via albums, artists or genres. One can also create one’s own playlists. It also offers offline save mode for listening to music offline on iPhone. It is free to download and use. The official Google music app is one of the best apps to use for listening to music, not just because the great music it offers but also its awesome features. It offers users the ability to save upto 50,000 of their own songs online for free. And these songs can be accessed via the iOS app. Users can either stream these songs or save them offline on iPhone or iPad. With all these features available for free, the Google Play Music app is really one of the best apps for free music downloading on iPhone. The plus point of this app is that it is the official app from Google, so you don’t need have to worry about its security feature. 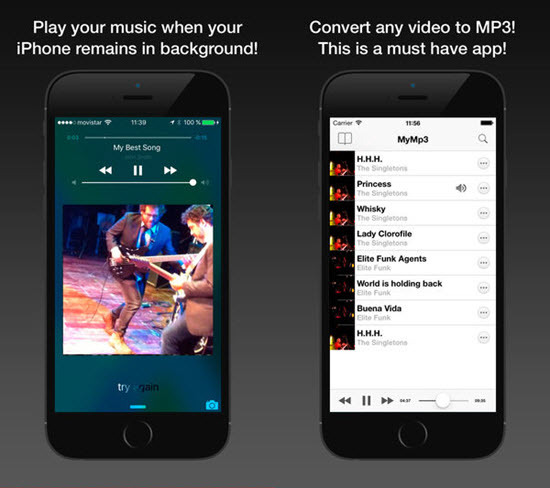 If you have music videos or have downloaded a song as video from YouTube, then MyMP3 will definitely help you to convert the video song to MP3 easily on iPhone. 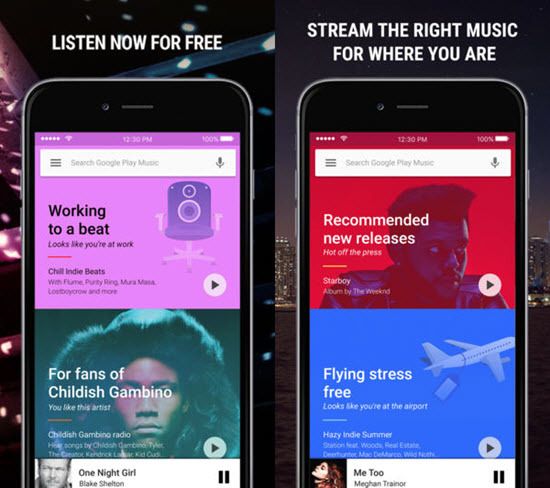 It also provides users the ability to share your favourite songs to friends or other platforms. 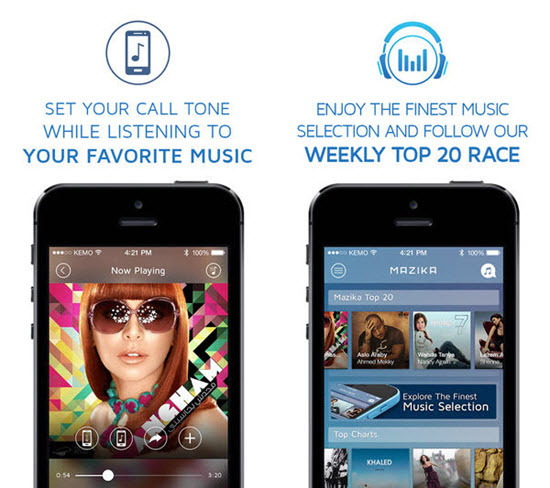 Another amazing app like this is iConv; both of them do well in converting videos into MP3. Apple offers free songs sometimes through its iTunes store. These songs are available as free download for only a day. So if you want to cash in on such offers from Apple itself, just download an app called “FREE SONG NOTIFIER FOR ITUNES”. As soon as a song goes free on the iTunes store, as part of the free single of the week offer by apple, the app will notify you. And you can then go ahead and download that song and add it to your music library for lifetime. This app is available for all iPhone users and for free as well. The Free Music Archive (FMA) is a repository which has a curated collection of free music available around the world. 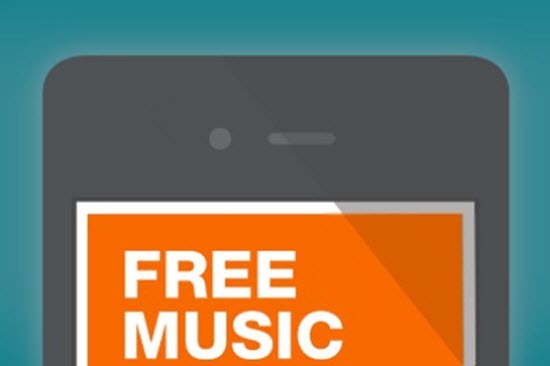 This collection of free music is completely legal, so you don’t have to worry about it’s functioning and all. With a very user-friendly interface, this iOS music app allows their users to access the music library according to their moods and needs, as well as download the songs on their iPhone or iPad. It also has the option to browse the music collection based on genre. If you have downloaded the mp3 songs on your PC, you can use any of the cloud storage services to store them and then download them to your iPhone using their dedicated apps. 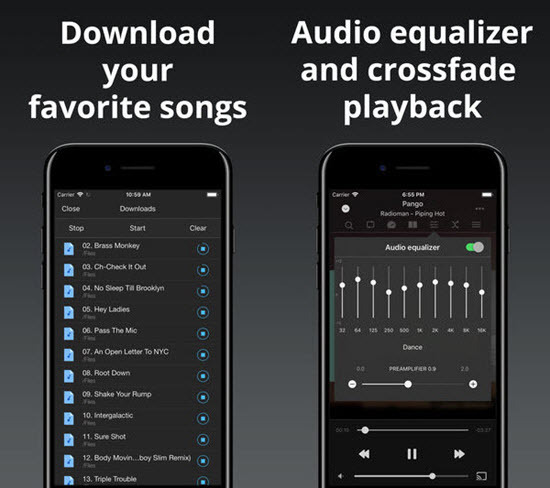 Beside these apps mentioned above, if you know of some sites that allow you to download free music, you can use Documents by Readdle to save songs on iOS devices. It is a file manager for iOS with a browser built in which can downloads the mp3 files from music websites on iPhone. From there you can organize them and play each using the built in music player of the app. However be aware of the legality of the music you download from such sites if you plan to do more than listening to. Do not indulge in illegal activities. 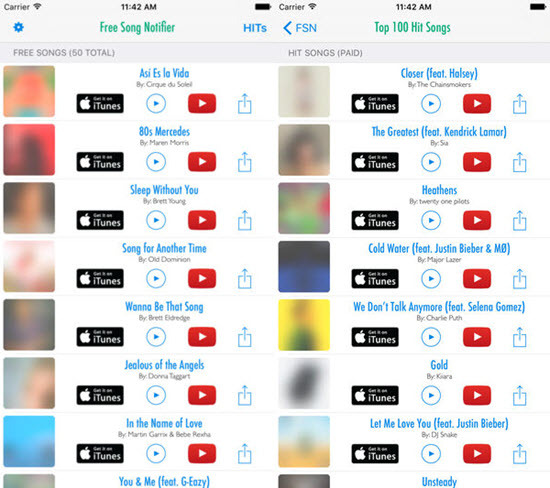 All these best music apps we listed you can try to download free music on your iPhone/iPad. They all are very easy to use. The regular updates will fix all the bugs. If you have any other suggestion on the music app which can be used in iPhone, then please let us know in the comments section. We’re glad to hear from you.